Waterman's Plumbing is a full service plumbing company. We do all aspects of plumbing installation and repair, including water heaters, disposals, shower fixtures, toilets and most anything related to plumbing. We have all the necessary equipment to clear blocked drains, video inspect sewer systems, and locate leaks on water and gas lines. 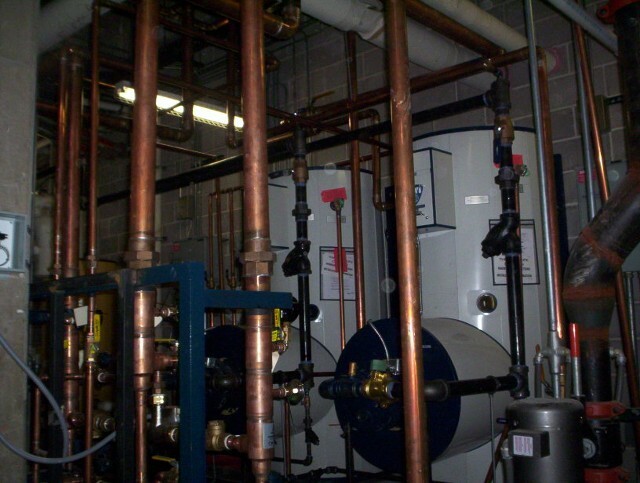 Maintain your commercial plumbing system with the help of Waterman's Plumbing. Our contractors come to your location to clean drains, inspect pipes, and repair plumbing equipment including water heaters and boilers. We also run new lines during building expansion projects. Upgrading your kitchen or bath is the best way to increase the value of your home for the long haul. Do your research, decide what you really like for now but also with an eye to what will remain beautiful well into the future. Waterman's Plumbing has experienced professionals ready to help you with your remodel. We have years of experience providing excellent services in our communtiy. Give us a call today! Call or email us today to learn more about our residential and commercial plumbing services.